Book review: City Of Glass _ Mathias Vestergaard Corp. 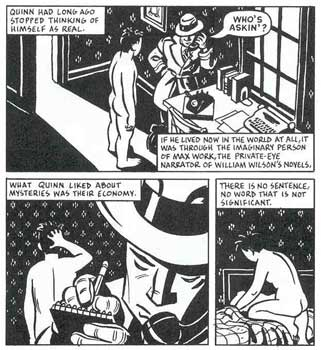 In the September 2007 issue of Delfinen (#134) I wrote this incredibly short power review of the graphic novel adaption of Paul Auster’s City Of Glass. This entry was filed under Delfinen, New York, Reviews.